Pregnant women are using narcotics in record numbers, and their newborn babies are suffering the consequences, according to a new study that identified an increase of nearly 300% percent in the decade from 2000 to 2009 in the number of newborns experiencing symptoms of opiate drug withdrawal indicative of neonatal abstinence syndrome (NAS). In a study published online April 30 in the Journal of the American Medical Association, Stephen Patrick, M.D., M.P.H., of the University of Michigan and colleagues reported that the spike in NAS cases—about 13,000 such cases were reported in 2009—parallels a substantial rise in the number of mothers found to be using illegal narcotics or prescription pain medications such as Vicodin and OxyContin. The researchers also found the nation's health system is also paying a price for this epidemic, with the cost for treating infants diagnosed with NAS rising from $39,400 in 2000 to $53,400 in 2009. 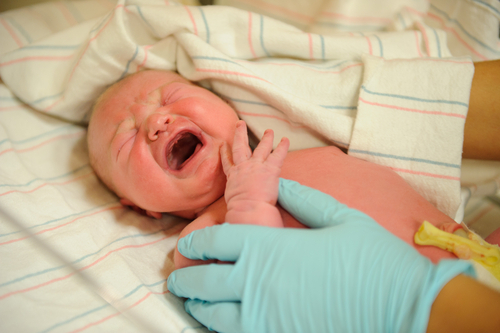 To read about the treatment of opioid-addicted newborns, see the latest issue of Psychiatric News.